This photo was taken about 2 hours before the eclipse, when the sky was totally clear. 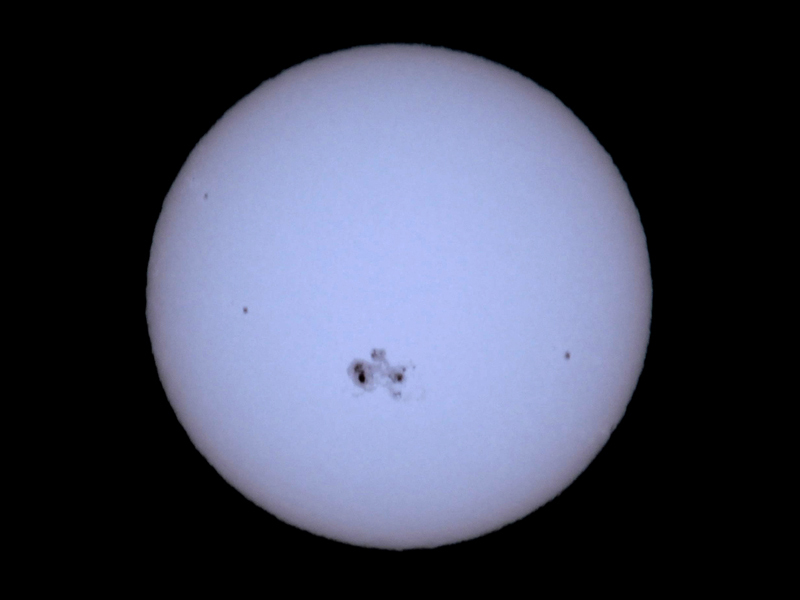 I used a baader solar filter to capture the total sun. 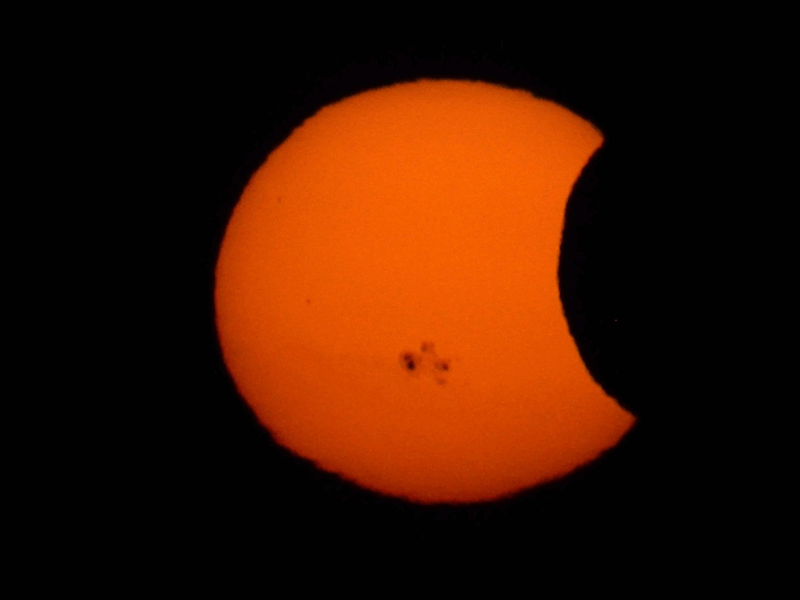 This is the eclipse in progress, about 10 minutes before the sun slid over the western horizon. The orangey color cast is due to the fact that I am looking at the sun thru the last remaining minutes before sunset. You can see that the limn of the moon has occulted the sun, and this was about as good as it got. The clouds had moved in, and were playing cat-and-mouse all during the eclipse.